If you are looking for the best end of tenancy cleaning then you came to the right place. Main Cleaners will provide you with the most affordable services in London. We have proven to clients, landlords and estate agencies to be one of the best on the cleaning market. In order to have your facility in a presentable look, we kindly invite you to trust us and to forget about the ineffective end of tenancy cleaning services, performed by other companies. If you desperately need end of tenancy cleaning, do not tackle this difficult task on your own. Many people try to cope with this, without professional help,however, they don’t realize how complicated and time consuming it is. Instead of this you can now rely on our team of professional cleaners who are skilled and experienced and who have all the qualifications for performing a a wide range of cleaning services in the premises. They are equipped with the latest cleaning products that are absolutely safe for the treated surfaces. We provide full sanitizing of the premises with attention to every detail. Main Cleaners strive to clean every part of the room, without leaving any dirt or dust. Our cleaners will provide bathroom and kitchen cleaning as well as cleaning of the bedrooms and general areas. The company does not charge you additionally for the instruments and tools that are used for the cleaning procedures. Find us in Charlton and Hornsey. 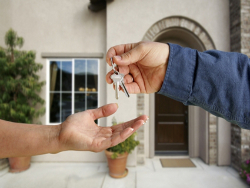 Never before had it been more easy to manage with end of tenancy cleaning service. We thoroughly realise that this is a serious procedure that requires specific cleaning and careful attitude. Our devotion and determination is what differs us from other cleaning companies. The competitive prices and offers are another advantage of our lovely cleaning company. 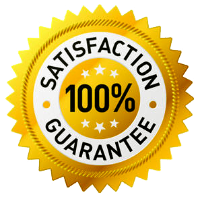 You do not have to bother that you cannot afford the end of tenancy cleaning service, because we will offer you reasonable prices that will really surprise you. The professional cleaners have flexible working time, at almost any time the customer require, every day of the week. That will suits perfectly with your busy working schedule. Please do not hesitate to contact us and to order the end of tenancy cleaning service. The implementation of the service will be immaculate and if you have any further questions you can always turn to the friendly customer support centre that is also available seven days per week.